So I haven’t updated you all on fortunes in awhile. I’d been updating testing, documentation, and refactoring a lot recently. Nothing too exciting for the non-developers out there. Recently I’ve been getting back into some UI though and am trying to implement gestures to play a card by sliding it up instead of just tapping on it. Avoid accidental plays this way hopefully. Respect the sound settings of the phone: This is a pet peeve of mine. If I have my phone on silent I don’t want your game playing music/sound. I feel other people may feel the same way too. Save Divination: meeting with the client later this month to discuss exactly how this should play out since this portion of the game is more of her thing and is add on/lore/fluff for the game proper. Possibly go back and try and fiddle with AI some more. The Audio sliders and the divination part are the main things I will be working on before something gets released(at least that’s the plan) that you all can play. 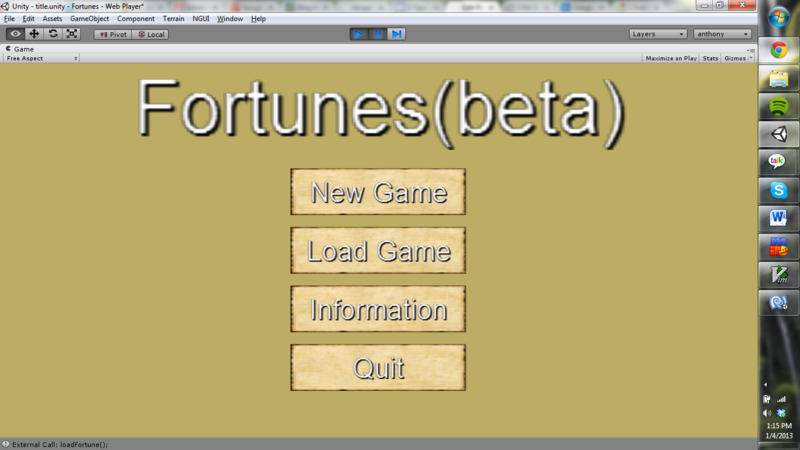 Well that and getting the glitches out of whats already implemented.